Estate planning is the process by which you decide how to transfer your assets upon your death. You can accomplish this in many ways including making a will, creating a trust, and through beneficiary designations. In the case of property under joint ownership, the surviving owner receives the assets. The purpose of estate planning is to leave a plan that spells out to your family how to carry out your final wishes. It’s equally important to review your beneficiary designations. There may be accounts such as IRA’s, pensions, and other employer-sponsored plans that have beneficiary designations. Keep in mind that these designations will often supersede a will, even if you have recently updated your will. Contractual assets are agreements made between two parties, such as customer and seller. They are conditional upon the delivery of a product or service in exchange for something of value; usually, an agreed upon sum of money. If you own contractual assets, you should always name a beneficiary. Otherwise, the assets will be transferred as per the default beneficiary provision of the contract. Secondary beneficiaries come into play when primary beneficiaries are deceased or refuse to accept the assets. For instance, individuals who remarried may have designated their ex-husband or ex-wife as the primary beneficiary. But when they got married the second time, they forgot to update their beneficiary forms. In this scenario, even a will that states that your assets should be transferred to your current spouse will not protect you. By law, your former spouse would be entitled to receive your assets. 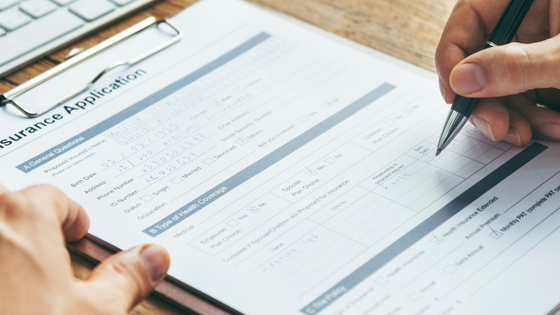 If you are planning a major life event, or have gone through one already, such as getting married or divorced, it’s even more vital that you review all of your beneficiary paperwork. Also, if your life circumstances have not changed, we recommend that you make it a habit to review your beneficiary designations yearly. Many accounts will send out yearly reminders to review your beneficiary designations. Take this time, not only to review your beneficiary forms but make updates to your will or other estate planning documents. If you used an attorney, make an appointment with him or her to review your information. Most investment assets allow you to name a beneficiary. These include retirement accounts such as a 401K and 403B plans, individual retirement accounts, other employer-sponsored plans, mutual fund accounts, and brokerage accounts. Check to see which accounts you have and whether they include beneficiary designations. Beneficiaries can submit a claim for ownership of the assets by providing a claim form along with a death certificate. A will or revocable trust cannot supersede the beneficiary forms. Therefore, if the individuals named in your will or trust differ from those in your beneficiary forms, this would cause significant conflict and headaches for everyone involved. If you have doubts or questions, seek legal advice from an estate planning attorney. Make sure that your assets are passed down to the people who deserve to inherit them.